President Donald Trump retweeted a Martin Hawtree quote regarding the Trump International Links (that Hawtree designed and Trump developed). Even after years of protests, legal battles, documentaries, financial losses and a huge shift in his popularity in Scotland since initial plans were announced, the President is still calling it a relationship builder of a project. What exactly prompted the Sunday morning re-Tweet isn’t entirely clear, but it hasn’t gone over well with ethics experts. But I say, what about poor Trump Turnberry? I’m pretty sure it clobbers the Aberdeen design by Hawtree about 9&8. After a WaPo exclusive on Trump National Westchester firing undocumented workers who had been on the payroll—including one course maintenance worker on staff for nearly two decades—the company will be instituting the E-Verify system at all properties, starting with their golf locations, reports Jonathan O’Connell, Elise Viebeck and Tracy Jan.
That should liven up some Golf Industry Show conversations next week! Last I heard the PGA Tour LatinoAmerica was played in…drum roll…Latin America. Also, multiple sources have reminded me that the PGA Tour was one of several organizations to scold the now President Of The United States for his comments about Mexican immigrants. The then-candidate Donald Trump then assailed the PGA Tour when it moved the WGC at Trump Doral to Mexico City. Voila! We have a match made in heaven: Ponte Vedra is jumping at the obvious natural fit by bringing the PGA Tour LatinoAmerica finale to Trump National Doral’s “Golden Palm” course. Brentley Romine with the confusing details for Golfweek. Did I say confusing? I meant synergistic fit. The Guardian’s Severin Carrell reports on Trump Turnberry’s annual revenue report falling shy of 2017’s predicted income of £18.5 million. 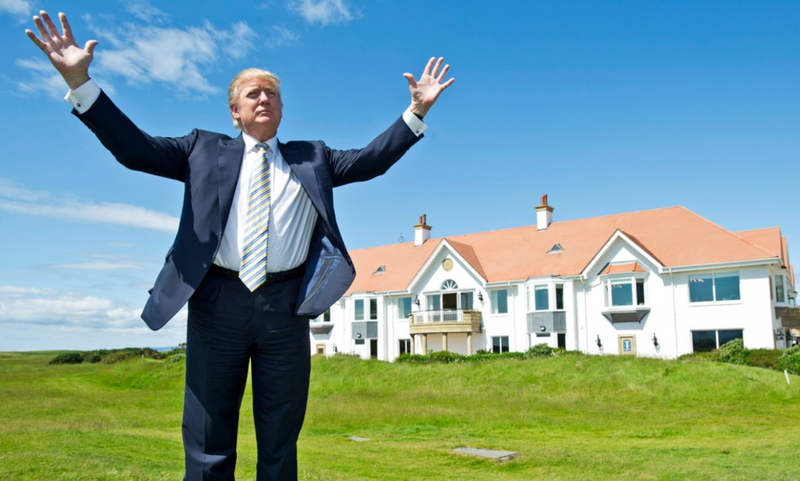 Trump Turnberry’s last accounts show the luxury hotel and golf resort in Ayrshire had an income of £15.2m in 2017 because its takings jumped after he spent more than £100m refurbishing its buildings and courses, and with rooms available at a steep discount. In January last year, Turnberry’s general manager, Ralph Porciani, told the Guardian he expected 2017 to be the best-performing in the hotel’s history – more than a century – by beating its previous record takings of £16.2m in 2007 by 15% to 20%. 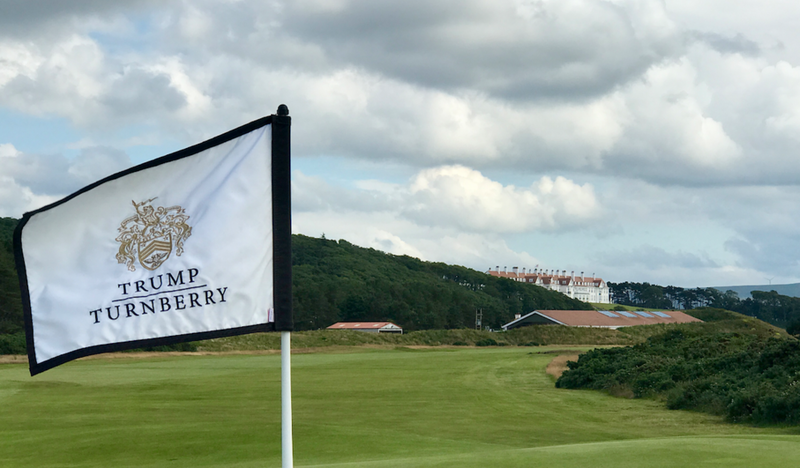 Trump had told the Times that month Turnberry was doing “unbelievably” well because the value of sterling had fallen after Brexit, boosting US and overseas visitors. Turnberry’s earnings for 2017 were much lower than Porciani’s forecast of at least £18.5m though. The story says the resort is still £107 million in loan debt to President Trump. Anecdotally, I was struck this summer by how many were still going to Turnberry to test out the courses, but had no plans to stay there for a few days to enjoy the entire facility. 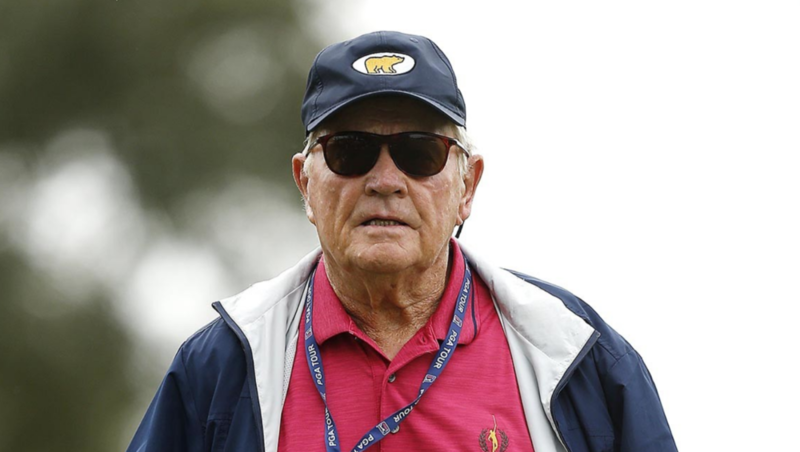 Whether this was due to the typical structuring of the traditional American group golf trip or due to cost or for philosophic reasons, was not where you go with a friendly conversation! Because this is the wonderful world of book publishing, it has a cover but the book won't be out until May 2019. What could happen between now and then? What could happen between today and Friday? Anyway, USA Today's Adam Woodard on Rick Reilly signing a book deal for Commander In Cheat: How Golf Explains Trump. Guardian: "Trump golf resort wrecked special nature site, reports reveal"
Thanks to all who sent Robin McKie's Guardian shocker that running bulldozers, installing irrigation systems and planting new turfgrasses has fundamentally altered the sensitive dunes at Foveran Links, home now to Trump International Links north of Aberdeen. The news here is in how long it has taken to reach this conclusion publicly and how it might impact recently announced plans to go forward with the remainder of the development. The New Yorker's Adam Davidson takes the opportunity created by Donald Trump's weekend trip to Turnberry to examine how the President financed the renovation. Davidson's description of the project itself suggests a bit of ignorance about Turnberry's place in the game, its stature as a world class property and as a potential Open rota venue. Nonetheless, the question of why Trump took such a huge financial risk compared to his previous project financing methods. #liveunderpar Files: Paraglider Tells Trump He's "Well Under Par"
Fearing a call from PGA Tour lawyers looking to protect the greatest slogan in the history of great slogans, a Greenpeace protester flew disturbingly close to President Donald Trump with a "Well Under Par" banner in tow. Jack Aitchison of the Daily Record with the story and a video clip of the President walking into the Turnberry hotel and the protester getting shockingly close. Harvested from President Donald Trump's asset disclosure, Trump Doral has shown a massive revenue decline from 2016 to 2017. The statement, released Wednesday by the Office of Government Ethics, show how much his properties, golf clubs and businesses earned last year. The highest-grossing Trump property was the Trump National Doral Golf Club at 4400 Northwest 87th Avenue with $74.7 million in 2017, according to Business Insider. While it raked in the most cash last year, the Doral resort also experienced the biggest dip in revenue compared to the previous year’s $115.8 million. May 21, 2018: Golf's Back On The New Yorker Cover! Ok so the latest New Yorker cover is not quite the charming, atmospheric depiction that'll be ordered for office framing. Jonathan O'Connell, David A. Fahrenthold and Jack Gillum take a close look at the Trump Organization's shift from loans to cash or mostly-cash purchases in recent years. 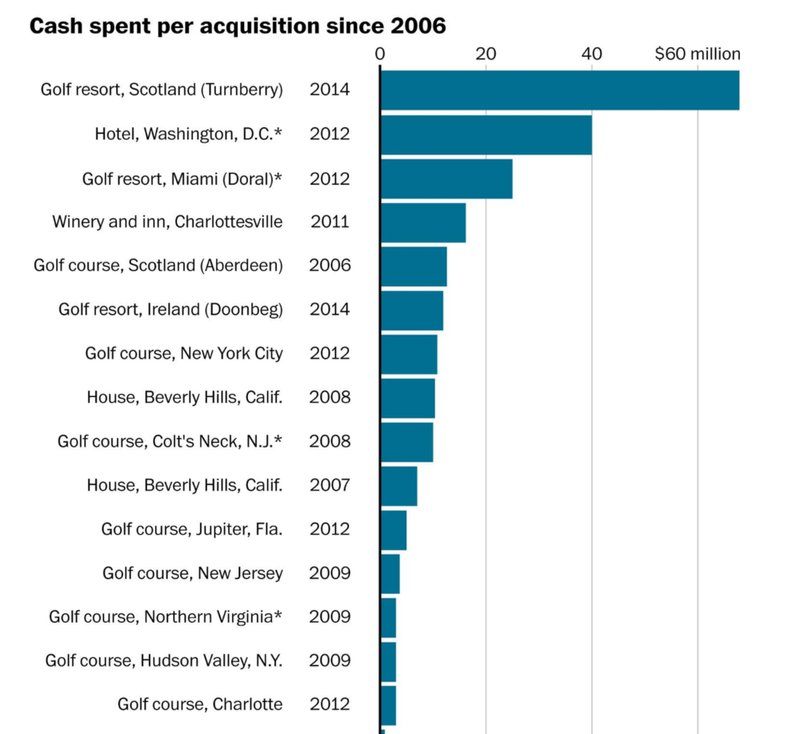 The President's company has infused way more of his own money into golf than he has with is past real estate ventures. The Trump Organization did not dispute the figures listed in the story. Of most note were the figures associated with Trump International Aberdeen ($62.5 million to date), Doonbeg and Turnberry. In 2014, he shelled out $79.7 million for the huge golf resorts in Doonbeg, Ireland, and Turnberry, Scotland — both of which were losing money at the time. While the story is obviously focused on the shift in philosophy, the expenditures at Turnberry involved an aging luxury hotel that is obviously far more expensive to renovate than the two golf courses there, both remodeled in stellar fashion by Martin Ebert. Katherine Sullivan of ProPublica follows up on an initial report of presidential seal tee markers ordered by "Trump International" in likely violation of federal law, with the club now saying the markers have been removed from the ground where they were installed. The Palm Beach club said they were a gift from members. A post on Sunday, since removed, showed how the Presidents Day weekend commemorative appeared. "America is being governed by a country-club bore, backed up by other members of the club"
Michael Goldfarb is the host of the First Rough Draft of History podcast and says he's seen enough of country club life to know that we're watching the country clubization of the United States government. Judging by the number of people and variety of political persuasions of those who sent me this link, Goldfarb's premise scored points. 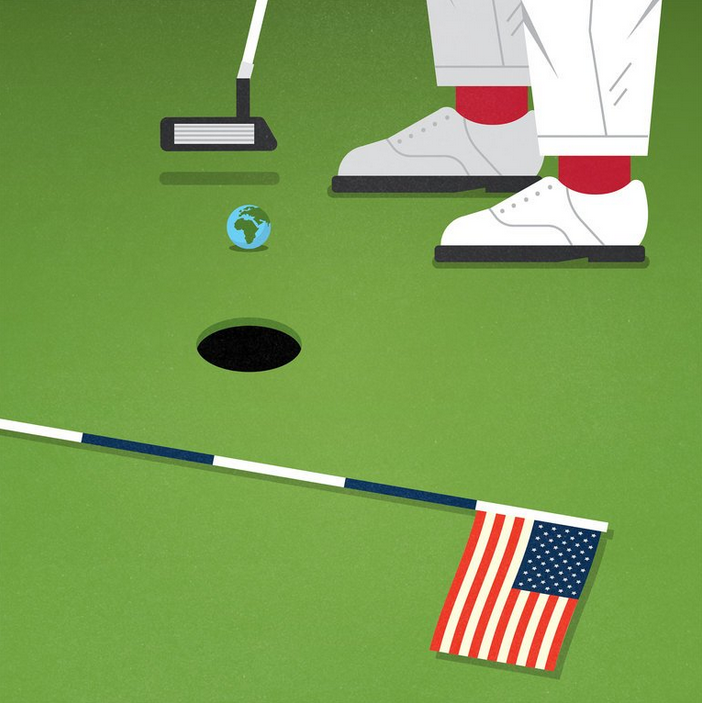 This country club mind-set is not unique to the United States. All over the world there are clubs with people whose wealth (it doesn’t have to be extreme wealth) buys them extra access to government. Indeed, their businesses require that access to make sure they get government contracts to build office buildings and hospitals or simply pave a local road. When the country-club class gets directly involved in politics, a country is on a shortcut to disaster. Equating President Trump to the guy at the club bar with an opinion on about everything, here's a view of the golf club world that could do lasting damage to the game's image. Those who want to resist Mr. Trump should accept that America is being governed by a country-club bore, backed up by other members of the club — a class that doesn’t worry that it will suffer if he makes a mistake.